Good afternoon all and Happy Bump Day once again! What a beautiful spring morning with this beautiful momma-to-be and her proud papa-to-be! The grass was just starting to pop and the trees were beginning to bud. 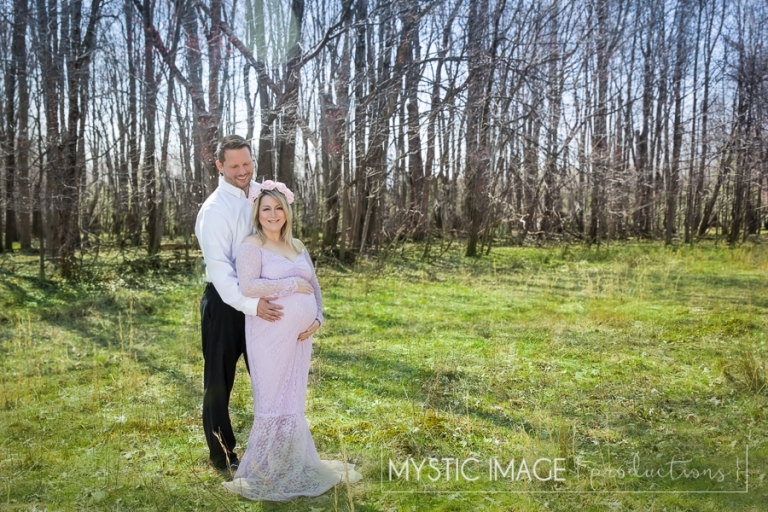 Springtime was upon us and what a spectacular morning to be outside taking maternity portraits of this wonderful couple. We’ve known Carly and Mike since we shot their wedding back in 2011 and have remained close friends since then. I find it so thrilling to be able to say that I’ve seen Carly as a radiant bride walking down the aisle and now as a glowing mommy rockin’ her baby bump. Carly and Mike, we’ve known the two of you for a little over seven years now and it has been such a pleasure watching the two of you grow as a couple and now as a family. I cannot wait to meet little Miss Grace and capture her newborn portraits for you. Love you guys!